Is the Jeep Yuntu a Preview of a New American Jeep? What’s next for the Jeep brand? Jalopnik has taken a look at what is the current trend that is happening in the SUV world and how will that effect Jeep? The trend is three rows of seating. 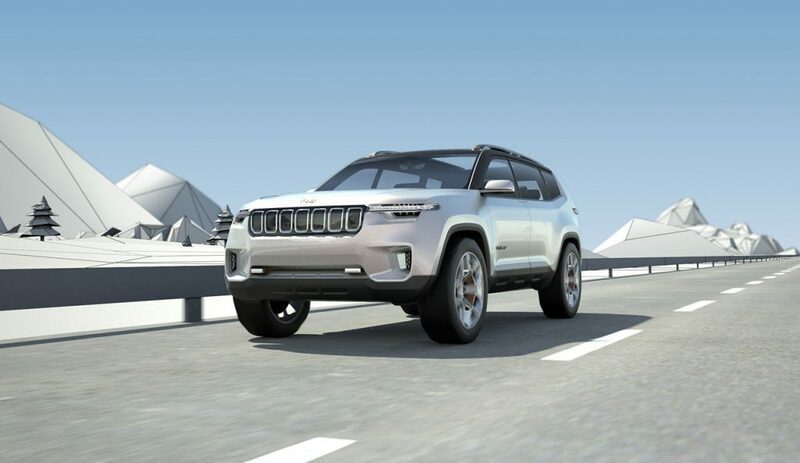 It’s a current desire of most SUV drivers and it is something that Jeep is needing into their upcoming line-up. That’s where the Yuntu Concept comes in. The Yuntu is a concept vehicle designed for China. It’s a plug-in hybrid and that’s really about what is known. The Yuntu is meant only for the Chinese market, a market that Jeep has been making strides in for a while now and is really looking to expand. Based on the few photos that have come out of the concept Jeep. The design of the Yuntu looks to be a cross between the Compass and the Renegade. So what does this have to do with three rows and Jeep? Jalopnik sees the Yuntu as a preview of what could be planned later on for American markets. If Jeep is able to fit the three rows into their Chinese market, it may be a preview of things to come. Considering that it seems to be what American buyers want, Jeep could be testing the waters in China. This entry was posted in Bayside Queens, Jeep, Jeep Compass, Jeep News, Jeep Renegade, New Car, Used Car and tagged Bayside Chrysler Jeep Dodge, Compass, concept, Grand Cherokee, Jeep, SUV, suv news, three row, yuntu by baysideadmin. Bookmark the permalink.